When I was a kid, I didn’t really care for The Nightmare Before Christmas. 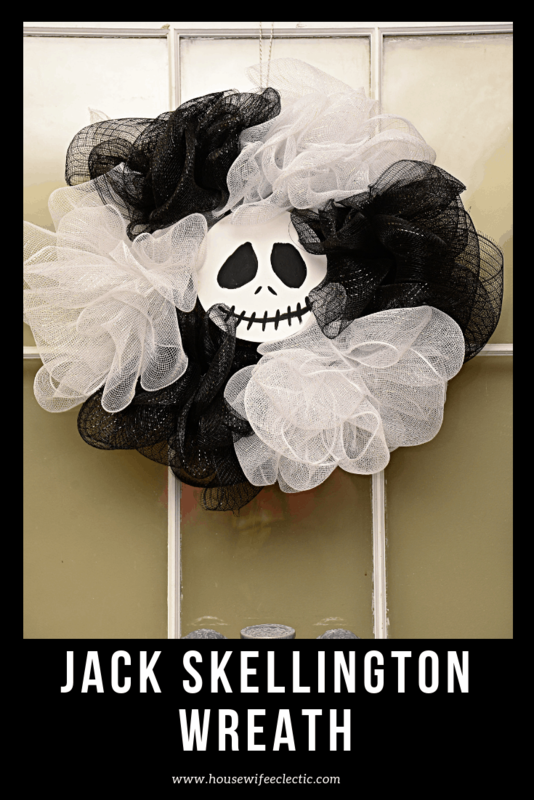 Who would be OK with a skeleton ruining Christmas? When my younger daughter was two, her dad introduced her to the movie for the first time and she fell in love with it. I saw The Nightmare Before Christmas no less than 100 times that following year and it grew on me, I started to understand the underlying story and fell in love with that skinny skeleton and his Frankenstein girl. My daughter is almost five and The Nightmare Before Christmas is still one of her favorite movies. 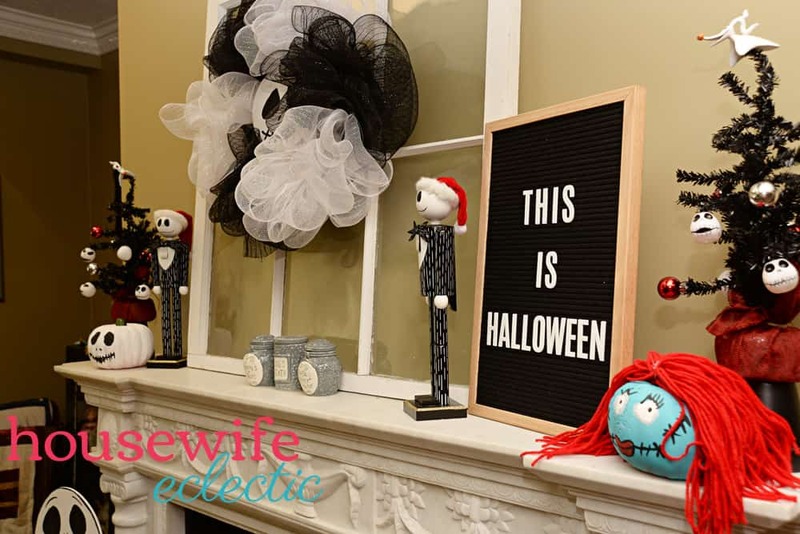 She loves it so much that I have slowly changed over all of our Halloween decorations to the Nightmare Before Christmas just because it delights her so much. 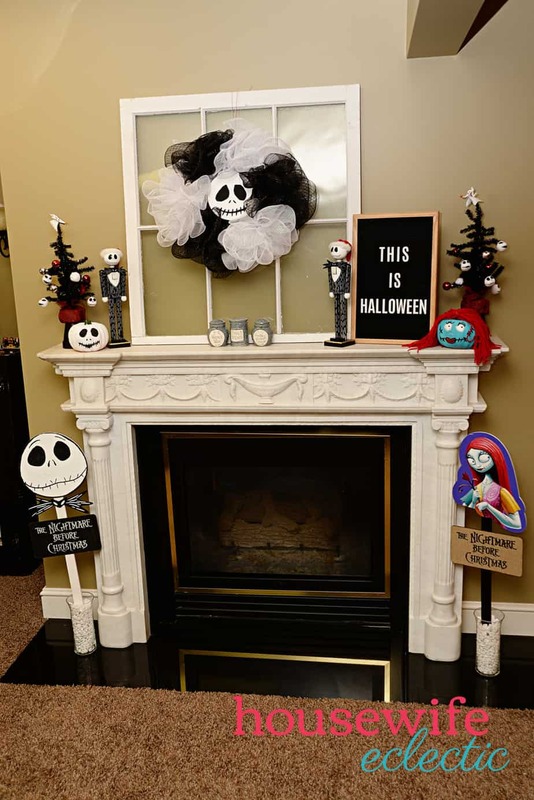 Here is the fun mantel I put together for this Halloween season. Tie the end of one of the rolls to the outside ring on the wreath. You can also use a pipe cleaner to secure the mesh, but I like using fewer supplies. 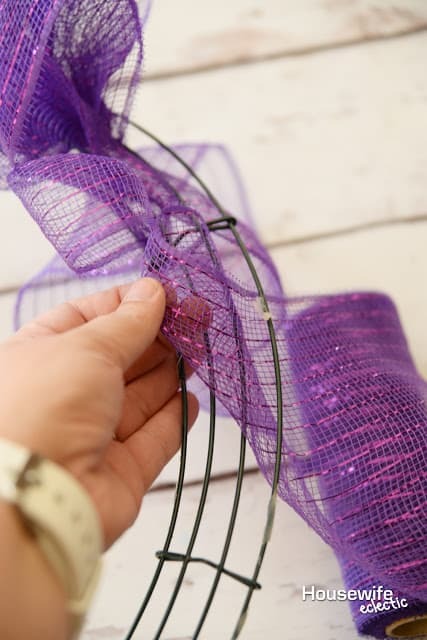 Pinch about three inches of mesh into a loop and push it through the top opening in the wreath. Pinch another three-inch loop and push it through the second opening. Pinch a third three-inch loop and push it through the third opening. 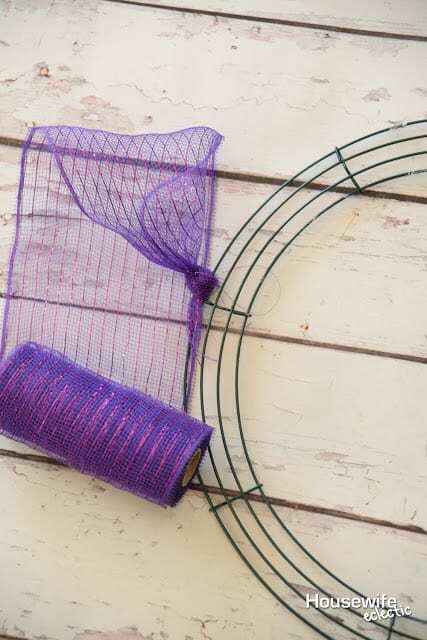 Repeat the whole process over and over again until you run out of the mesh. One roll of dollar store mesh should fill one section of your wreath form, so you have one roll for each section. Then use the next color for the next section and repeat the process. 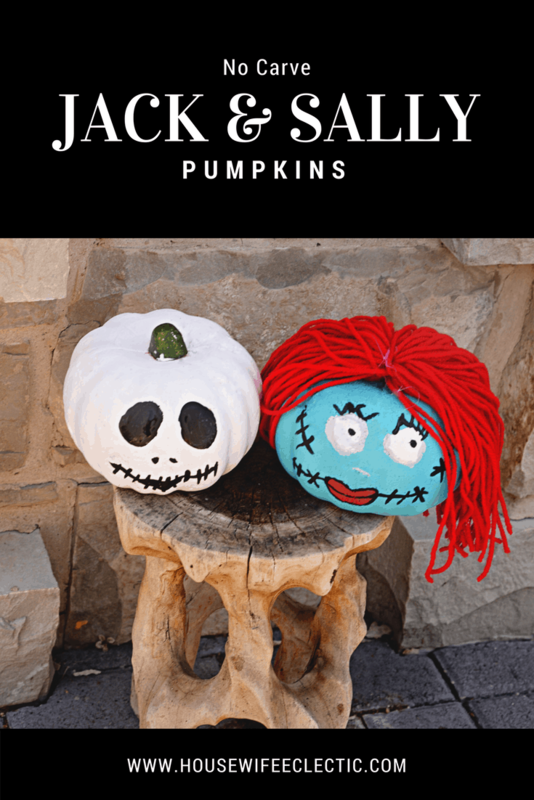 Find all of the instructions for the pumpkins here. 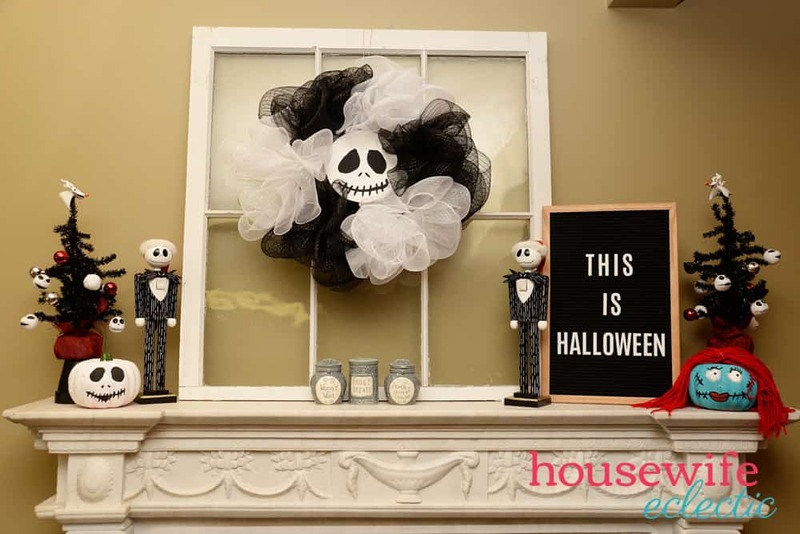 This is seriously one of my favorite mantels that I have ever put together. 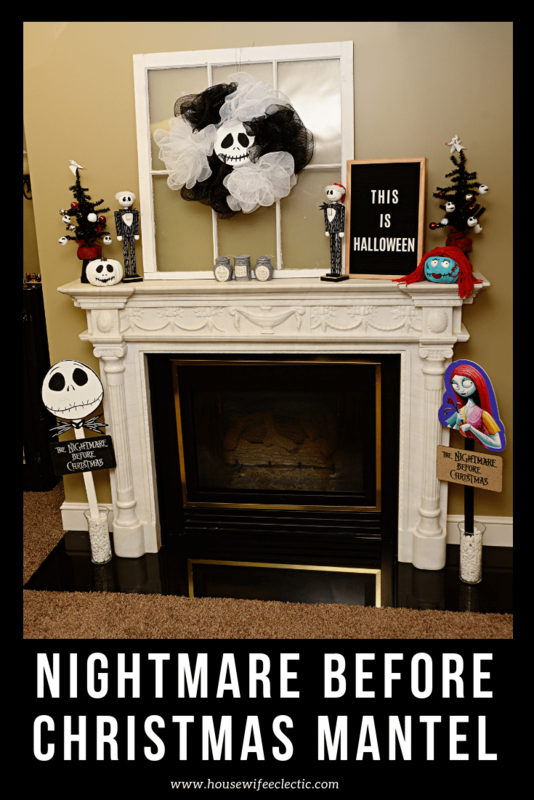 Just wait until you see my Nightmare Before Christmas tree! 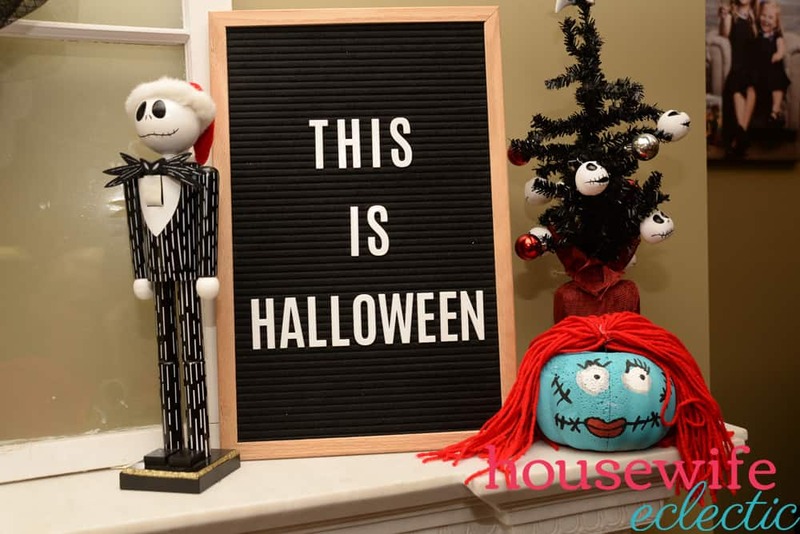 How do you feel about The Nightmare Before Christmas?